It doesn’t usually do to go back, to try and relive a moment. Invariably, it leads to bitter disappointment and anti-depressants. Sometimes though, there’s some old magic left in a tired old formula. 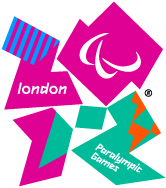 Such was the Absolutely Fabulous Olympic Special shown tonight on Auntie Beeb. I loved every witty word, every caustic comment, every grotesque caricature and the sound of every sacred cow being slaughtered. Watching deliciously unreconstructed, post-menopausal Patsy light her fag from the Olympic flame was worthy of a sackful of gold medals. 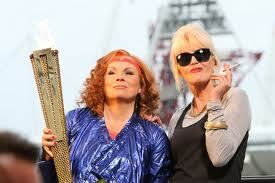 Perhaps I am being carried away by Olympic fever but Ab Fab was absolutely fabulous. Oh brilliant! I wish I had seen that. I love those two terrors! It was absolutely brilliant wasn’t it? Hasn’t lost any of it’s magic. yes it was laugh out loud funny which I didn’t expect being a ‘special’. Great stuff! . . mind-numbing, capitalist people-controlling, money-grubbing extravaganza – but Ab-Fab is wonderful!